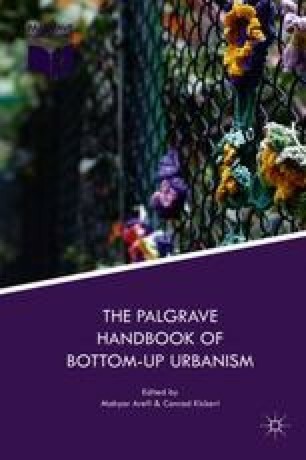 This chapter argues that informal or unregulated activities are pervasive and spread across different social groups, diverse urban settings, and geographic regions of the Global North. While formal and informal activities may at times conflict with each other, urban designers need to question the conventional duality of informal and formal urbanism and conceive of them as linked, overlapping, and often mutually sustaining. This attitude or approach can open up avenues and opportunities for urban designers to respond to urban informality. The authors suggest that casting a spatial lens on informality can offer a guiding framework covering four distinct areas of urban design: scope, context, process, and practice. Douglas, G. (2013). Do-it-yourself urban design: The social practice of informal ‘improvement’ through unauthorized alteration. City and Community, 1–21. https://doi.org/10.1111/cico.12029.